In summer there are two boats making twice daily trips to Staffa from Fionnphort, leaving about 0945 and 1215 with at least one hour ashore (weather permitting). In high season it is best to book at least the day before, which we will be pleased to do for you. The boats leave from Iona and call at Fionnphort before departing for Staffa, so you can go to Staffa in the morning, return to Iona about mid-day, then finally come back to Fionnphort on the ferry in late afternoon. Or you can do it all in the opposite direction, though that usually means you have less time to spend on Iona. 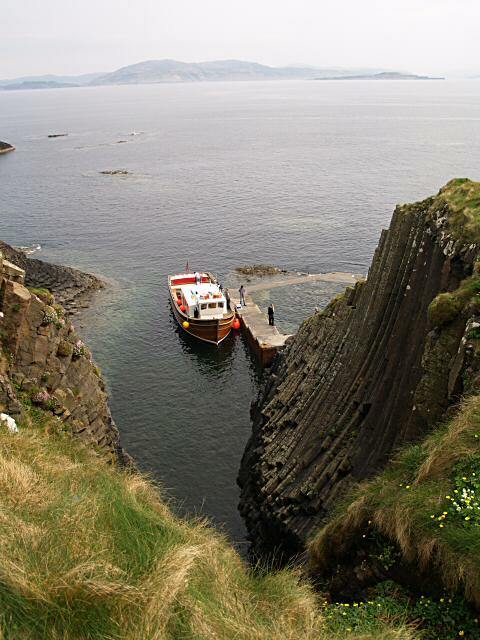 For further information see Staffa Trips and Gordon Grant Tours. You can also make the trip from Ulva Ferry (1½ hours drive from Maolbhuidhe). 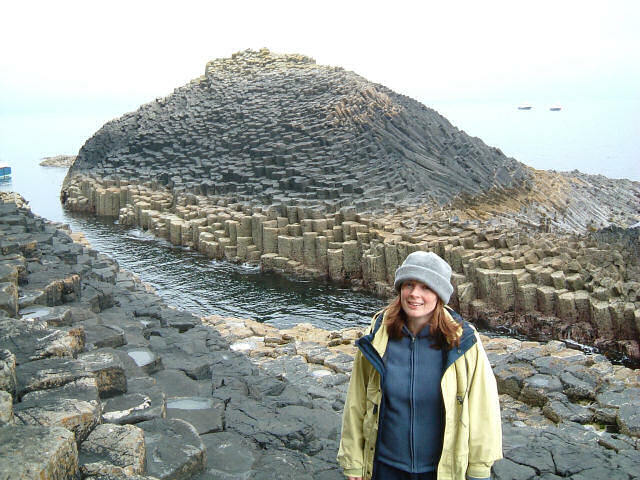 Staffa offers an outstanding example of a lava flow that has solidified into characteristic hexagonal columns. This can clearly be seen at Fingal's cave, where the lower layer has solidified relatively slowly into massive regular colums, and is overlain by two further layers, the first of thin less regular columns, and the topmost layer of 'slag'. But don't miss the 'Clamshell Cave', close to where the boat will moor. Here the basalt columns are curved like a clamshell or the ribs of a boat. 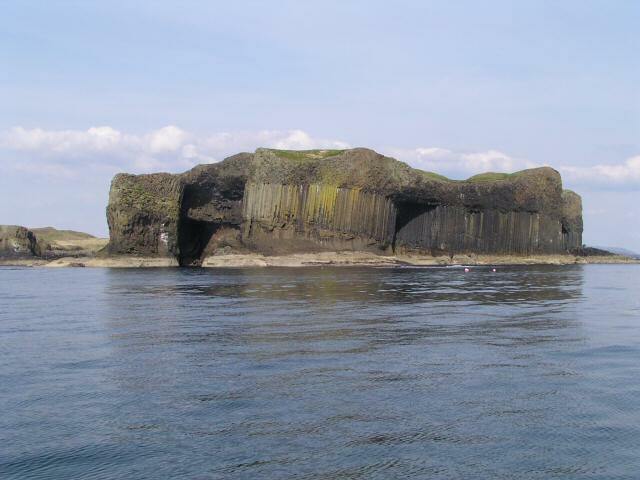 Legend has it that Fingal's Cave is the Scottish end of the Giant's Causeway, built by an Ulster giant in order to fight the Gaelic giant Fingal. Many people will be familiar with Mendelssohn's 'Hebrides' overture ('Fingal's Cave') written after the composer's 1829 visit to Staffa and published in 1832. He wasn't the only 19th Century celebrity visitor; the list includes Queen Victoria, the poet Tennyson and the painter Turner. Today you can follow in their footsteps.